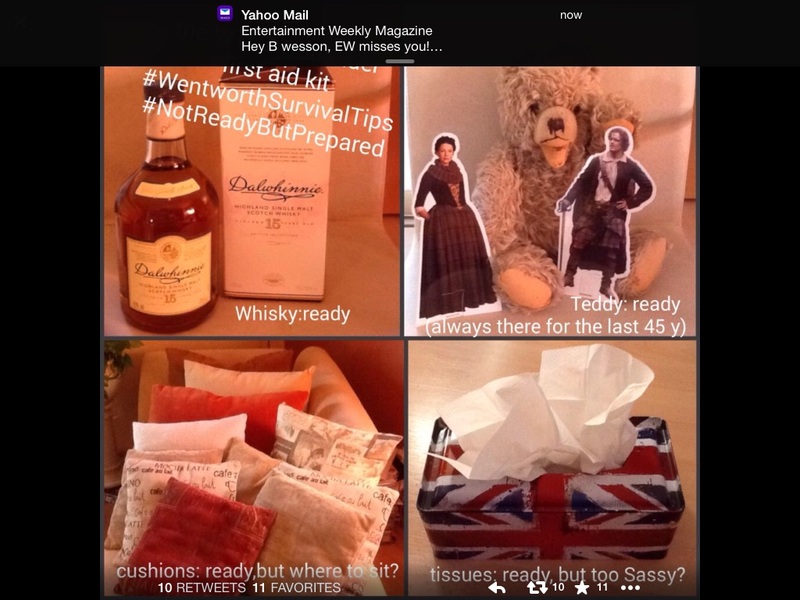 It’s taking on a life of its own….Wentworth and the Outlander fandom – My Outlander Blog! I’m sorry my fault totally! I hit the wrong button! It’s up now! Hi Beth: No matter what I click on I can’t seem to ready this whole article below ‘Its taking on a life of its own’… Is there something wrong with the post site? I checked several links with no luck. Below is a screen shot of what I get when I click on your link for article.. Keep up the great work… love your posts. Thanks! I’m so sorry I hit publish instead of draft! The article is finished and posted now! I’ll be watching with you, Beth. If Sam and Tobias had the courage to bring the scenes at Wentworth to life, I’m sure I can muster the courage to watch them. And I don’t want to miss what is expected to be historic television. I haven’t read the book yet, but I’ve read enough online to know that I should expect to be horrified beyond anything I can imagine. It’ll be very interesting to read all the recaps, blogs, and posts in the aftermath, and I’m especially looking forward to your thoughts. I’m very sympathetic to those who won’t watch because it may be detrimental to them, and I consider myself warned. I think you know which camp I fall in, Beth! I’ll be watching, even if I’m squirming and cringing! You may have seen me say I consider it akin to “bearing witness”. Bearing witness not just to the sacrifice Jamie makes in the story, but also bearing witness to the courage of Tobias and Sam and what I fully expect to be ground breaking television. I’m still trying to decide how much social media I will participate in immediately after viewing. I may need a breather to process it on my own, but also know myself well enough to admit that I may need the virtual hand holding from a select few! They really are going do some groundbreaking stuff and maybe open the door for some difficult. but meaningful conversation. I was a therapist in a prison. This kind of thing happens more often than one might think. I am in the camp of I can’t wait to see it. I think these actors will nail it and “it” will be much clearer to me than in the book. I will be able to see why it was threatening to Jamie’s soul. I have never been one for slasher movies or gore, but this kind of psychological intensity fascinates me. I cannot wait! I’m with you,Jackie. Can’t wait to see how Diana’s scenes play out on screen. No trepidation whatsoever, and I do not care for the blood and gore of most action films. This will be different from those I am sure. If you remind yourself this is fiction, not reality tv (which ironically is probably as fictional as anything else on TV), you should be able to watch without such distress as so many have expressed. Very well said Beth. Clearly some people need to differential on screen story telling to real life. I will be watching too and to marvel at the incredible work of the actors involved . Looking forward to your comment after the show. I really wish we would just stop drawing conclusions about how people are choosing to deal with this difficult material. Can’t we just let them find their own way and let it go? I think most people know this isn’t “real life” (that’s actually been the reference/response I’ve seen the least). Starz and Outlander cast and crew knew they were opening up a can. I’m sure they’re prepared to deal with it. Hi Beth- I hope I am not duplicating a post. My computer got the hic ups! As usual you have written a thoughtful and thought provoking article. I admire your ability to lay out the varied reasons for and against watching episode 1.15 without any judgement on your part. Being a book reader and proud of it I initially felt I was prepared for what is coming behind the walls of Wentworth. That was right up until I realized what has changed. They say that everyone puts their own imagination to work when visualizing a character. Mine did not exist in the face of this actress or actor or another. What I saw when I read these amazing books are a Jamie and Claire BJR and all the others shrouded in Diana words. I still hear her words first and formost but with the creation of the series they have taken on shape and substance. No longer will Jamie be wrapped in a protective veil of words. I will see him stripped bare of his digity; tortured by a vicious sadistiic soul stealer. Before I close I wanted to add to Kristen Elizabeths post on DG Facebook page. I have seen and been shocked by some of the things I have seen posted on the internet about the actors. Their seems to be a large number of people who feel that just because people make their living preforming, they are fair game to speculation, innuendo and objectifying. I have become much more selective in who I follow. I have also seen people attacked when they speak out against this behavior. I hope people will stop and think about how they would feel before they text without thinking. I would hate to see people hurt because they are trying to bring a beloved story to life. Keep on preaching to the choir Beth we need a voice of reason in an increasingly dark world. Thank you sharing your thoughts! 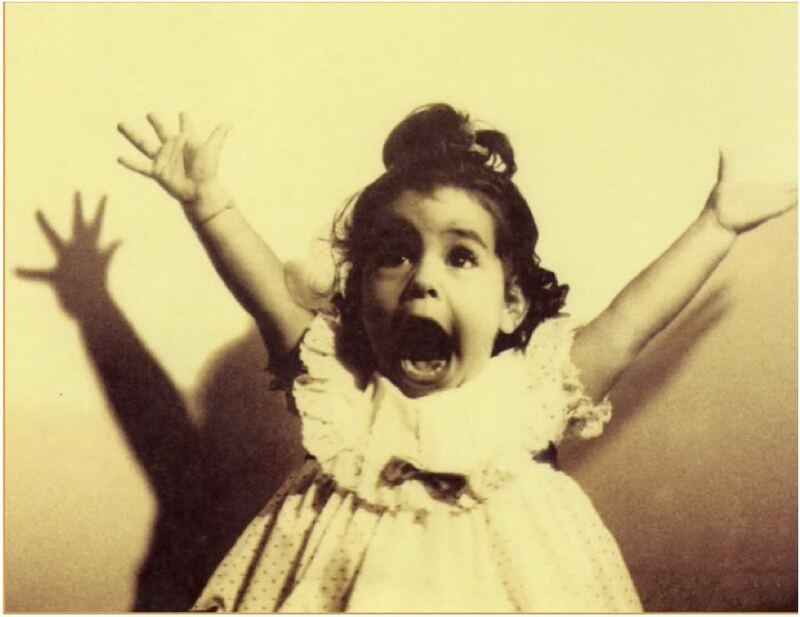 I’m finding that most of my readers feel exactly like you do! My comment just did the same thing. I hit “post comment” and it said it was a duplicate post. I was anxious before reading the critics. This section of the book was hard reading. I had to skip WP the second read and force myself through on the fourth and subsequent ones. Yes, I have history witnessing abuse. But it IS integral to the story and I want to watch world class actors portray my beloved story. I believe they will be beyond imagining in the best possible way. I think the critics have gone over the top in describing this episode. Maybe it is “horrifying” and so bad it’s “beyond what readers can imagine” even knowing what to expect. Even so, is it necessary to put that out there without any kind of further explanation? It’s almost like they’re gleeful about knowing something we don’t. As I said, I was already anxious. Now, I’m worried this may be more than I can handle and I hate that. I have been looking forward to seeing this story on screen since the first book came out. I feel like something precious has been stolen. I will be watching, but the pleasant sense of anticipation is gone. It’s a real catch 22 isn’t it! I appreciate the warnings and yet… Thanks for reading and sharing your thoughts! I will be watching at midnight. Having read the books, I know what will happen. Ron has handled everything so well, I know he will do the same here. I have a problem with how they are going to fit everything into just two episodes. But I can’t wait to see them! I feel exactly like you do! Yes, I agree. And I know it will be disturbing, but I trust the integrity of the production. I see no reason for that quality to change from what it has been all along. This is just such an amazing adaptation of our beloved story. Saturday, 12:01 am, I’ll be there, with streaming laptop and tissues. I’m looking forward to seeing Tobias and Sam really sink their acting chops into this very difficult episode. I’ve read that Diana, Ron, Sam and Tobias all collaborated on the prison abuse. Ron has done a great job adapting this very large book into 16 short hours. I think they’ve done a great job too! Thank you Beth for your comments on this continuing saga of Wentworth. When all is said and done we do have a choice whether to watch or not but I’m afraid all the warnings about dark and darker have probably made some fans very wary about watching. I think it would be a pity to not see the courageous work of Sam and Tobias. These two actors have become Jamie and Black Jack but after all it’s just good against evil. Don’t we see this carnage maybe not as explicitly, on our evening news every night? I for one will be watching every minute of it I hope, but I do have the option of looking away. Thank you for commenting! I’m sure it will be groundbreaking! I loved your “groupings” of viewers, Beth! A good chuckle for me. Seems that internet behavior needs a “Miss Manners” guide to proper conduct in posting (not that the ones who’d need to use it would read it, sadly)! I find the same issues on other blogs /fandoms too. Respect for actors/ directors and readers is needed. These art forms are allowed expression and viewers can choose what to or what not to watch! I, for one, am cringing. I read the books, and am thoroughly enjoying the series thus far. I’d hate to have to turn it off in the middle of the episode, but my remote trigger finger is ready! The scream of agony heard in the trailer makes me think that this may be too much, but I have to see it to get past it and watch the healing begin! And yes, the “day after” posts ought to be truly interesting! And as a postscript, I have to say, I loathe Black Jack Randall, but I’m hoping not to hate Tobias for his acting genius! I had this problem with the actor in Rob Roy, who raped Jessica Lange’s character. It was such a disturbing scene for me. I was never able to watch that actor in any other movie because he played evil so brilliantly! I have never watched the movie again (that goes for Braveheart as well…damn, those Scots had it ROUGH! ). I do so love Tobias persona as we know it, and the acting I’ve seen him in. Let’s hope I can disassociate! I need one of those survival kits…. Of course I will watch episode 15. How can I not? The cast, producers, writers, directors and all the crew have done a brilliant job of adapting this fabulous book for the screen. I expect no less of them with this episode. And if Sam and Tobias are brave enough to bring this episode to life, it would be doing them a massive disservice not to watch what they have achieved. Count me in, hard to watch or not! I must admit that for the first time I’m actually a little glad that I don’t have Starz this season. It gives me just a little comfort that I’ll be reading everyone’s comments about the episode before I can see it when the dvd’s are released. It’s still going to be hard, but at least I can watch the next episodes directly afterwards, too. To reiterate what Jody said above, I will be watching at 12:01 a.m. I will trust in the team that has brought everything to life in each episode, and done so in an honest way and with respect to the feelings and intelligence of the viewers. The Outlander books and the series of visual episodes are more analyzed and discussed probably than any other historical literature. Readers of these books feel that these characters are our family; we have a high stake in what happens to them. Thanks to technology, the readers and now the viewers, are one family connected world wide. And families are never going to agree 100% on things. What can you do? But it is heartwarming to see people mentioning concerns and cares for the actors who have given of themselves to this worldwide family from day one. They’ve given access to our family members on an unprecedented scale. They are creating art which is as true as humanly possible to its origins in the books. I have a feeling that Mr. Moore and his team understand what these unique actors have gone through to produce this work–and will go through when the rest of the family sees it. Anyone who can produce this level of art will protect and care for these people. I truly believe that. Thanks again Ms. Wesson for poking the bear! Thanks everyone for reading and sharing your thoughts it seems like most folks are anxious to see the result of Ron Moore’s team and cast! I too believe this show will continue to represent the source material and the fan base! however, their are many trade offs with this story. The adage, “It is better to have loved and lost than never to have loved at all.” the sentiment implies pain being part of the experience, but that the experience of deep love is worth that possibility. I’m talking about the book here. Why are so many people devoted to Diana’s story and for so long? I believe it is because of the intensity of the love between Jamie and Claire. Their willingness to endure suffering and sacrifice for the sake of the other. Jamie said he pledged an oath before God to love and protect Claire. I believe Jamie had an idea of what that could mean because of the past. Claire didn’t, but she let her love for Jamie take her past her limits of endurance. This is ultimately what we love about this story. It may be magical at times, but it is not a fairytale. I ask myself would I follow in Claire’s footsteps to free the one I love? Yes, and that is how I will be watching. There is one more thing and that is, that I am a fiercely loyal person and will defend and stand for Tobias, Sam, and Cait in support of their phenomenal gifts as actors. They are wonderful. Beautifully stated. Couldn’t have said it better myself! 😉 this story truly is about what he means to live and love. Thank you Beth for the insightful approach to what has become a curiosity before it even airs. It saddens me reading about some of the innuendo by people who may simply like to hear themselves talk so to speak, in social media. I haven’t read the direct quotes and I won’t because I feel it gives them credence and support. With all the publicity Wentworth is getting I’m sure there will be people tuning in simply out of prurient interest and further fuel their bile. It takes real guts for the actors to agree to portray such a scene. A tribute to their commitment and talent. Anyone of them could have said no. I will be watching. ” a tribute to their commitment and talent” I like that! Thank you for reading and sharing your thoughts. I decided to join this discussion group because of all the calm, intelligent and insightful posts. I truly believe it is the best group. I appreciate everyone’s comments above since my reactions to the book have mirrored them all. I love the books and story. I understand that the actors are proud of how they handled this difficult part of the story and believe it is our responsibility to respect their art and efforts. Each viewer needs to understand themselves enough to judge if they can watch the episodes or not. Do not let the media take your freedom to choose. This may be a case where fiction reflects a terrible reality that is beyond our understanding and experience. I look forward to watching the episodes but will do so alone and with a large box of tissues. I cried through this part in the book when I read it. Welcome and thanks for sharing your thoughts! Yes, I believe I blubbered a bit through this part too! 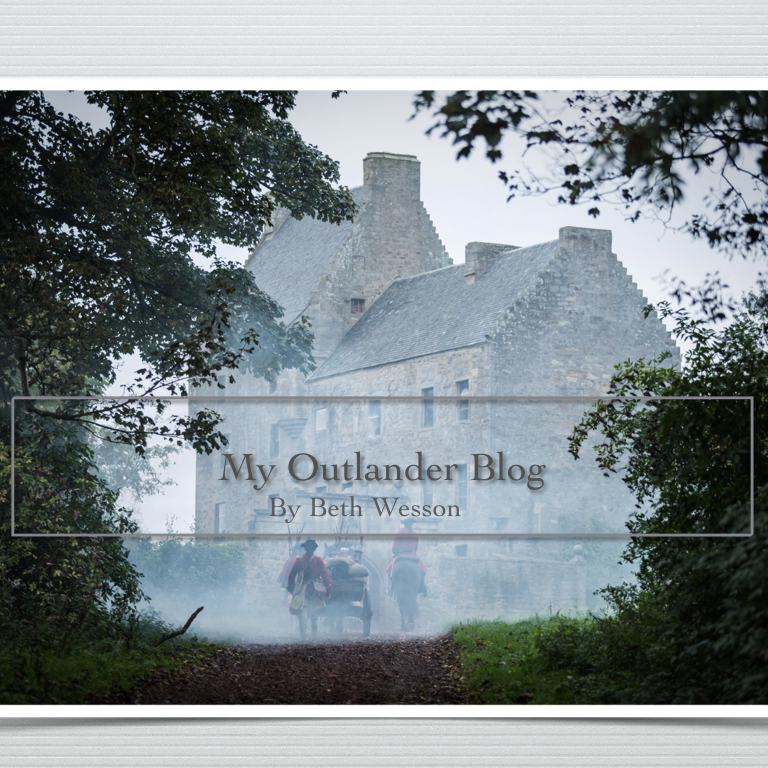 Beth I have been reading everything Outlander I can find for about 6 weeks now. I love your blog and your writing, everything you have written just rings true to me. Thanks for being a beacon for me. And, so glad you added the p.s., that is me. Je suis prest!